Our machines are designed keeping in mind the current labour problem. The rising labour costs and unavailability is hindering you to meet your goals & timelines. Hence, all our equipments are automated using the latest technology while also keeping them simple to operate. This helps you to work with unskilled workers as well. Our Mini Crane, Tough Rider & CONCRETE MIXERS are all simple to use and reduces 90% of your workforce, hence lowering your expenses and labour dependency. This directly lowers your project cost metrics and helps you meet deadlines. Our expertise lies in understanding machine design, and translating that design into real world affordable machines. Our qualified engineers have designed all our products to make them more efficient, ergonomic and safe. The machine thus manufactured have less breakdowns, minimal and easy maintenance, higher service life and are heavy duty. This directly improves your productivity and helps in successful project completion on time. Machine break down on site can incur you huge amount of loss. Our team of service engineers are experienced and are extensively trained in troubleshooting, repairing and servicing. We immediately deploy our engineers to any part of the country to solve your problem. Dial +91 9904350426 for immediate response or Email our service department.. We will get back to you within 24 hours. With dealership & service networks spanning entire india, we make sure customers get prompt service in their hour of need. Check our network & service locations here. We have a varied range of customers which include small time novice contractors as well as veteran industry giants across various countries. Our machinery range fits all budgets and sizes. 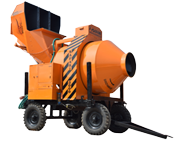 Our positive spirit towards rendering after sales service and our sturdy, low maintenance machines have won us many loyal customers. Take a look at our customer list.Read about what our customers have to say about us.